What Can PPC Do for Your Business? PPC is Different from SEO in that SEO results in technically “free” traffic with long term gradual results while PPC incurs ongoing costs in exchange for fast impressive results that stop when the money stops. 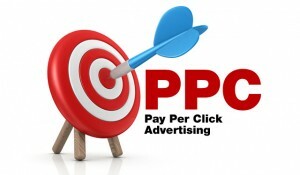 PPC costs more, but has fast results that end when the money stops. SEO costs less, but doesn’t give results for a while, but they last and grow. They both will generate traffic to your site, but PPC is faster. I’m not trying to say one is better than the other here, I just want you to understand the difference. So to the question: What can PPC actually DO for you? Let’s say you have a killer promotion coming up. Maybe it’s a buy one get one free deal that will only last for one day. You already plan on having big signs out front of the shop and telling everyone – but you KNOW there has to be a way to reach more people who may not see the signs. Search Intent means you can pay to show up at the top of a SERP when someone searches for anything related to your type of business. But don’t worry, we’ll make sure it only shows to people who live close enough to actually visit your store. No reason to pay for people a thousand miles a way to see it! This type of marketing gets you very targeted traffic when it’s done right. Demographic marketing targets people based on their age, education, geographic location, and interests among other things. For certain types of business this type of marketing can produce explosive results. So let’s say your business is a women’s shoe store. You know that a big fancy dress social is coming up and you are planning that BOGO sale for a couple weeks ahead of it. You could choose to show up when people search for anything having to do with that event, or anything having to do with womens clothes, or just shoes specifically. You could also show up in front of women on Facebook who are likely to be attending this event. People can’t show up unless they know about it, and PPC in an incredible way to make sure they know about it. To go with this promotion, it’s usually wise to offer a specific tangible benefit for them to click your ad. And then when they click the ad, have a conversion page waiting for them that will entice them to learn more and take advantage of your offer, and hopefully become a customer for life! These are all separate arts and sciences but all tie in to make one cracker jack campaign. So what can PPC do for your business? If it’s done right, it can help it grow and get your brand in front of all the right people.